Favors, freebies, and the lure of easy money were the slippery slope the rookies had to face on The Rookie Season 1 Episode 12. While some barely seemed tempted by the huge pile of cash sitting in front of them, others got flustered over a tasting a free dessert. 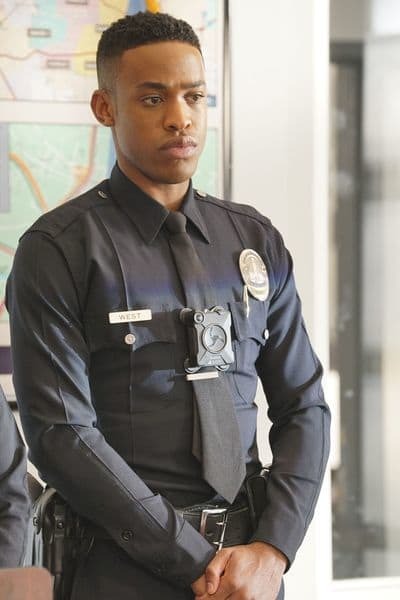 Officer Jackson West's attitude when it came to following the rules didn't surprise me as much as it annoyed me, almost as much as it annoyed his training officer. It's one thing to stick to the rules; it's another to do so blindly without using your better judgment. Take the woman with the sick dog that Jackson had pulled over. Jackon insisted she deserved a ticket but was that really addressing the bigger issue? No doubt, she was going to speed off to rush her dog to medical attention the moment Jackson let her go. Wouldn't escorting the woman to the vet have helped her save her dog and made sure her reckless driving didn't endanger the public? But Jackson only recognized that she deserved the summons and the circumstances that led her to run that stop sign didn't play any role in how he reacted. When Lopez tried to the point that out to him, he dug his heels in and defended his decision. That lead to the creme brûlée incident. Jackson was appalled that Lopez encouraged the women to order dessert to increase the charges against the scam artist. It sounded like the guy had been stealing high-priced meals for weeks and sticking his unsuspecting dates with the bill, even though this was the first time they'd caught him in the act. 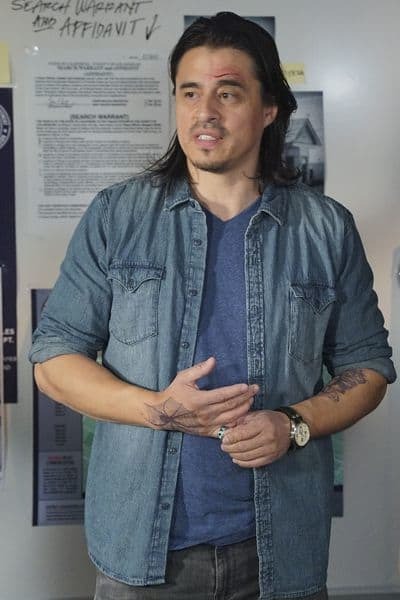 Admittedly, Lopez was walking an ethical gray area, but I don't think it warranted Jackson's righteous indignation over writing up the report. I loved how blunt she was in reminding Jackson how he'd benefited from her fudging the details on certain reports about him. I seem to remember writing a report about you. Second day on the job and the truth about your cowardice in the line of fire. Ringing a bell? Lopez also pointed out that even West's father, the lauded Commander of Internal Affairs, has been known to bend the rules on occasion. As she said, there's a difference between being righteous and being rigid, and Jackson is just beginning to learn that. When roll call turned to the topic of accepting favors and freebies, Sgt. Grey was quick to point out that Nolan was living rent-free at his friend's very expensive residence. Could that be a conflict of interest down the line? Not that it's out of the realm of possibility, but I had to chuckle at the thought all the same. First, Ben doesn't seem the type to pressure Nolan for help he's not allowed to give, and second, Ben's got more than enough money to buy the best legal help in Los Angeles. Still, Nolan's working full time now and should be able to pay his friend some sort of rent each month, even if it isn't what that place is worth. Officers Bradford and Chen responded to a case of stolen embryos which led to a domestic abuse arrest. Officer Bradford: This is one rule I’m all for. Cemeteries are filled with women who’d still be alive if cops had been forced to hook up their spouses the second he or she laid hands. Officer Chen: That is a very enlightened attitude. Officer Bradford: You seem surprised. Officer Chen: Sir, you surprise me every day. Permalink: Sir, you surprise me every day. Bradford exudes the attitude of a rogue cop, but it appears to be a cover for someone who sticks to the rules. However, unlike West, Bradford understands the reason for the rules and uses his judgment in applying them to each set of circumstances. Finally, we get to the drug raid. I thought the guy walking down the street holding the bag was odd and was a little surprised that only Lucy gave him a second look. But then again, I suppose cops tend to be laser-focused when going into such a dangerous situation and an unarmed pedestrian didn't register as a threat. When the rookies were left to watch the $1 million in cash I was a little surprised they weren't required to keep their body cameras on. It made sense that the conversation would turn to what each of them would do with that kind of money. What else are you going to talk about while staring at an enormous pile of cash? Jackon appeared to have the least fun with the topic, perhaps because, as he said, he's never worried about money as his family has always had enough. John and Lucy haven't always been so lucky. I found it all too easy to relate to Chen when she quipped that she'd be 60 by the time she paid off her student loans. I respected Nolan for wanting to pay off his son's loans, and I wish Jackson had told us which type of car he would buy. But the fun and games ended when the money turned up missing. Jackson didn't even need to be asked a question on his polygraph before his guilt over merely tasting the free creme brûlée came spilling out. But the truly interesting part was when Chen got caught in a lie. Have you ever lied to protect another officer? I'm sure that most officers have told at least little lies to protect their partners and the Captain had no intention of digging into things for which she had no interest. So she rephrased the question to make sure it only referenced the missing money. Crisis averted, and I was oddly disappointed. 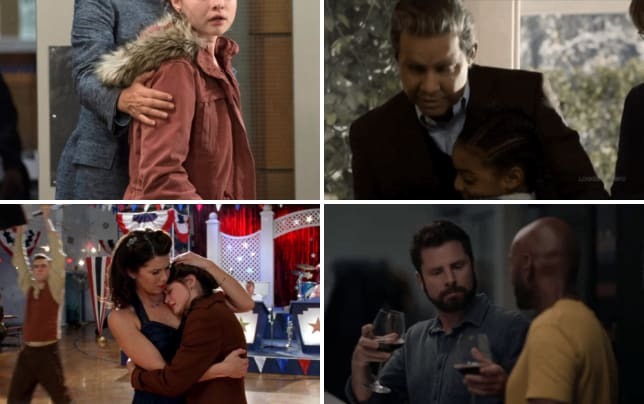 Not that I want Lucy or John to ruin their careers, but I was hoping for a little more drama concerning their hidden previous relationship and the shooting at Nolan's home. When Lucy got run off the road, I couldn't figure out why she was the only rookie getting targeted. Yes, she got strapped for cash but who wouldn't find that kind of cash tempting? In the end, it seems that she was merely an easy scapegoat. 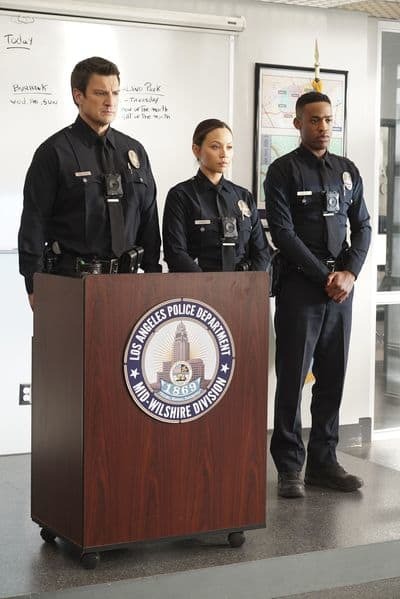 Earlier in the episode, during the drug raid, I remember thinking that Officer Chen needed to work on her cop voice. Officers Bishop and Lopez sound damned intimidating when they come through a door, but Lucy still sounded a bit hesitant. Given that she's female and petite, it's even more critical for her to come off as a confident badass. Anything less will only make her appear vulnerable and more of a target. But Lucy more than made up for it when her quick thinking had the gang member taking out his people and allowed her to get the upper hand. Officer Chen didn't need Nolan to ride to her rescue; she only needed him to hand her the cuffs. When it became clear that the DeSantis had been tipped off about the raid, it didn't take long to figure out who was responsible. And it sure was fun to watch the Captain tell Ortiz to enjoy his last decent pudding as the ones in prison wouldn't taste nearly as good. 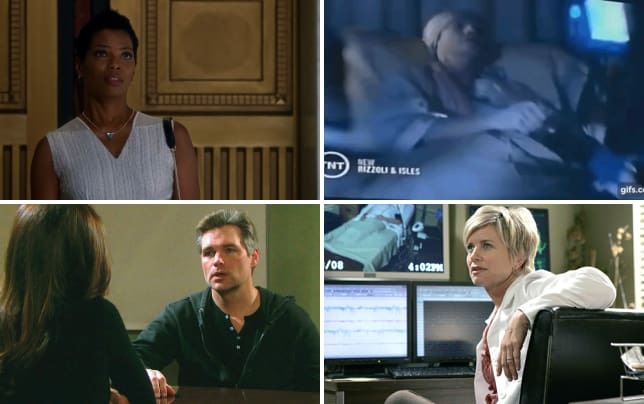 So tell me TV Fanatics, did you think more than a decadent dessert would come out with those polygraphs? 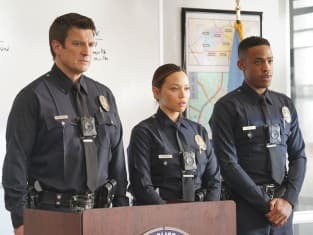 Check back in for my upcoming review of The Rookie Season 1 Episode 14. 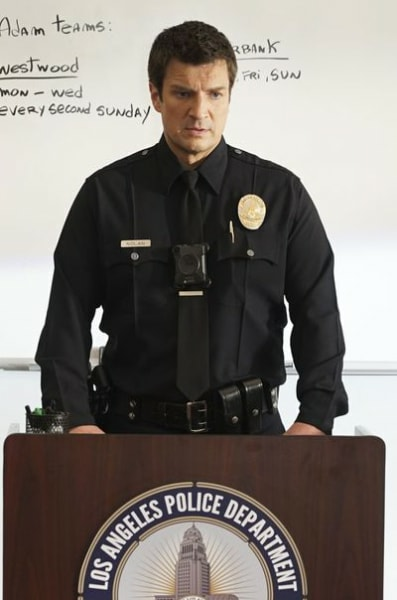 Until then, you can watch The Rookie online here at TV Fanatic. You’re in for a hard fall if you can’t see the difference between righteous and rigid and if that wasn’t the first thing your father taught you, he failed you. Officer Nolan: I thought officers were supposed to avoid making assumptions. Officer Bishop: There’s a big difference between making an assumption and a likely scenario. Officer Nolan: Which is? Oh, let me guess, if it comes from you it’s a likely scenario. Officer Bishop: There’s hope for you yet, Officer Nolan. Permalink: There’s hope for you yet, Officer Nolan.